Before creating cinema filmmaking project based on different kind of communities direct participation and collaboration, he is successful to build Student Music Television (SMTV) Networks as a platform for cross-disciplinary collaborations and meaningful professional experience for creative media students in Indonesia. Community-based participation TV program broadcast in 30 local television entire Indonesia, screen community project collaboration between creative students and independent musicians consist of many kinds of TV episodes such as clip expedition, musical theatrical, musical puppet, serial musical film television, high school musical series, etc. SMTV have been established since 2009, already empower more than 15000 students and young people as young screen talents from more than hundred of schools and talent communities, his dedication developing screen community was appreciated by British Council Award, International Screen Category 2011. 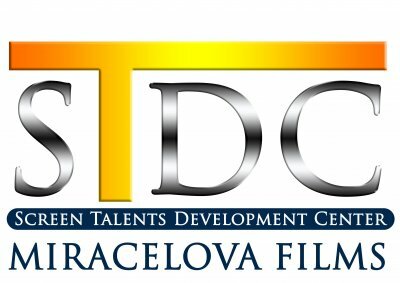 STDC Miracelova Films, is dedicated also to empower youth community to produce many genres content production such as length feature film, short film, documentary, mobile content, tv show, etc. - Creative Student Communities (high schools and colleges), as anIndependent Filmmaker/ as a part of Production Team invitation or/and Student Artists. - Street Dancers, as Film Guest Stars and Film Choreographer. - Other creative communities such as freelance writer, theatrical house etc as collaboration partners. ""When life is a dream""
A romantic mystery (independent)film shot in the Thousand Islands region of Indonesia.Beautiful exotic islands. An Indonesian touch on Romeo & Juliette blended with the Legend of the Sea Queen. Once upon a time, Adel (a painter and singer) ventured alone to an island, free from his fatigue and problems gathered from his city life. His emotional isolation helplessly changed upon meeting the angel of his dreams (Rinda). Despite not having the opportunity to get to know her, he re-creates her through a painting of his own. The painting resurrects a beautiful dream where Adel sees himself living with the angel. One day, his imagination leads him to create the backdrop of Heaven to go with the angel. Upon the completion of his work he decides to go look for her, But only to find that she had passed away. At her request she asked her father to deliver a final message of gratitude for Adel, thinking him for the eternal happiness, the meaning of life and strength that he had given her before she was called back to the heavens. What happens to Adel next when he lives on the fine line between his natural life and his dreams? And what is actually happen to the Sea Queen Legend? An artistic-minded film focused on the message, dramatic story, and musicality. Forged with a musical mindset, it's an entertaining film with deep dialogue, developed song lyrics that inspire and touch audience's heart, thus making it an unforgettable motion picture. An everlasting romantic, musical film. The story about kids' adventure against silly pirates stealing napoleon fish . The story with beautiful dances. The love stories in musical film. 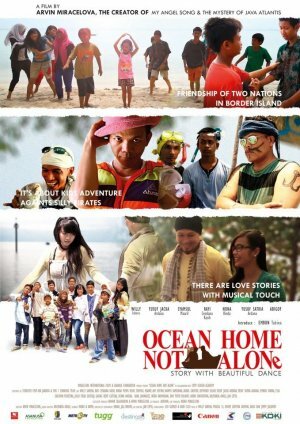 The story about the friendship of two nations in the border island. And the story about life tolerances. 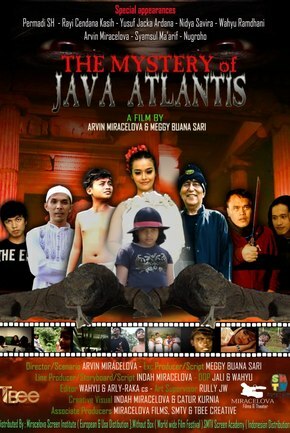 Actress/Actors : Willy Sabena, Rinda Puspa Dewi, Rendy Idealis, Arliyanda Awali, And Cleo, Anindita Pramwesari, Syamsul Maaarif, Abi Ghouf, Jan Cipta, Rayi Cendana Kasih, Aim Sofyan, Ika Aim, Arvin Miracelova. A local man just got his scholarship in Dutch college. and a Dutch woman, a writer but defend Indonesian people. The man is killed by the pirate during protect ship passengers and when he creates a love melody to her fiance that never deliver. And the women is poisoned in Java. Both become spirit never across the heaven and don't know each other. 80 years later, a modern guitarist creates the same melody in coincidence.Then the thunder hit him to get power to call ghost and spirit just by strum his guitar. His life change, he is quit from the band, until both lovers"ghost" realize when hearing his melody. What will happen next? When the guitarist is fallen love with the ghost woman and when the ghost man is struggling hard of his journey from Europe to Java passing some Ghost kingdom. 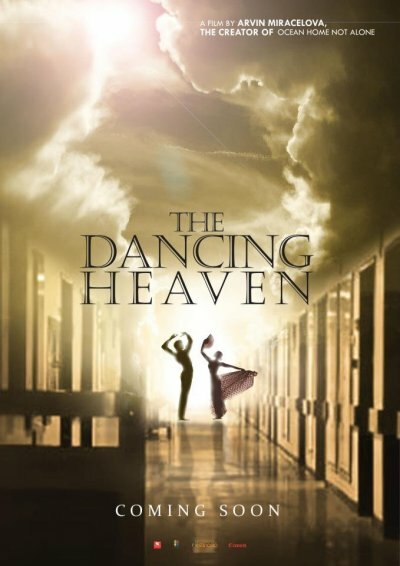 Romantic dance musical films combining the other stories from difference world, the world of Ghost. The love story in between two dimensions of life and life discrimination. 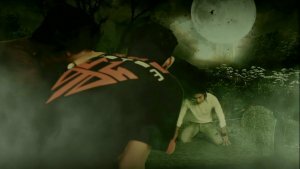 The man is accused as "communist" vampire and the woman in her alone life after his father is getting jailed as one of terrorist suspected. Right in the middle of South East Asian. After the big volcano of Toba Lake in North Sumatera Island, the kingdom was disappeared. But in the supra-natural dimension, the kingdom still exist and look after by their guard keepers. Now the time of the supernatural dimension gate is open again when the planets of Earth dimension and other dimension parallel each other. Then come out the bad threatening (such as Atlantis wolfs and zombie) and good hero creatures (such as “komodo dragon troops”consist of eternal cloning boys, the valley key keeper and the Atlantis reincarnation Queen with her bracelet's power). The reincarnation Queen is the daughter of Atlantis researcher Professor that’s also mysterious missing. From the jungle on the top of the mountain, the story has begun, and end up in the city life. What else happen then when the Atlantis dimension gate is open again? The story about the autism boy change everyone world. The mystery of poetry, melody, forest nymph and secret of life. A Pledge between Man and Woman, Life and Dead, Love and Sadness. Each cinema film project is also consist of two(2) production teams such as senior director (Arvin himself)and junior director (student selected), senior dop-junior d.o.p, and so on ...to collaborate each other. 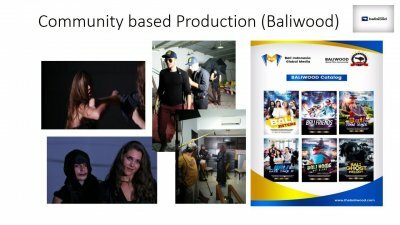 Our special next community-based film production in 2017 : The Battle of Warriors, the 1st Colossal Independent Musical Dance Film that empowering “1000 young talents” from 4(four) unit productions in the different region of Indonesia, project collaboration with some communities. Micro-budget colossal film empowering big communities. The battle dance FILM describes how the growing of Java Islamic Culture "Tolerance" as mix culture between Middle East Culture and Javanese Old Kingdom(Majapahit) Culture. 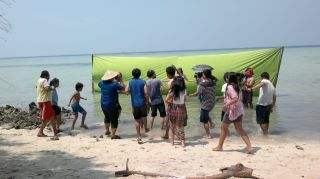 Song of 7 Island /Nyanyian 7 Pulau , musical film 100 min, 2010 with Exims Band. 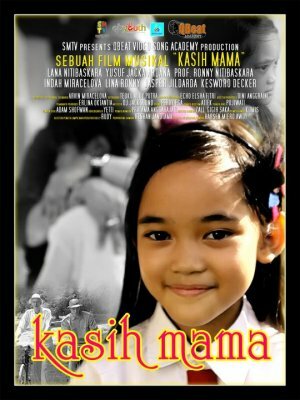 The musical film about love from Mama in four different of time era, all the same love only time make differences. 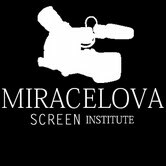 High School Musical Film Television Series from different High Schools entire Jakarta and surround as Arvin Miracelova and STDC Miracelova Films dedication building a beginner filmmaker society right into school. The method of production by inviting different independent bands to collaborate with high school students making a project of musical films in their school and around. All the film stories are original by students as well as the film production. All films even though independent film scale but still have our target to penetrate the international market. It becomes the mission how “local youth communities collaboration can go international. 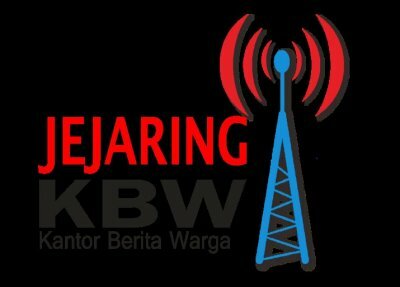 Also become the learning of independent musician, independent artist, as well as the independent film teamwork. Distribution target covering worldwide independent cinema network, global digital/OTT platform, world inflight tv/cable tv, worldwide film festivals. Beside still distributed in Indonesian local market. Each film project to become an example how community participation from youth talents can deliver the film production bring to international market too. © 2012 Miracelovafilms. All Rights Reserved. This website was built using N.nu - try it yourself for free.